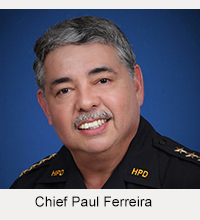 The Hawaiʻi Police Department announces that the new Pāhoa police station will be open for business effective May 2. This station in lower Puna, which is larger and more modern than the Keaʻau police station, will serve the public temporarily as Puna’s main district station. The Keaʻau station, which is no longer large enough to meet the demands of a district station, will be converted to a substation until a more suitable facility for a main Puna station is acquired. 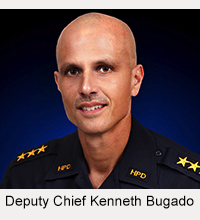 The Puna District is the third busiest police district on the island—behind South Hilo and Kona.